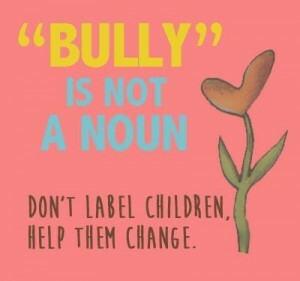 Bullying is a purposeful act of cruelty. Kids who bully show a lack empathy for the feelings and experiences of their targets. Parents and professionals play a key role in cultivating empathy in all kids, especially those who are most likely to get caught up in moments of social whack-a-mole, knocking others down just to pull themselves up the school social ladder. Okay, I already previewed this one, didn’t I? At my elementary school, many of the students call me Queen Signe. 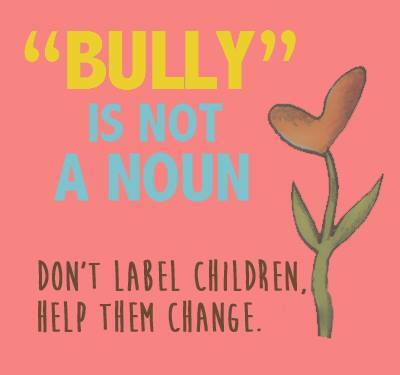 Some of them do it because they like to be silly and others do it just for fun but most of the kiddos I work with use this term because our comprehensive, Every Action/Every Day Bullying Prevention strategy means that we are always talking about the fact that words matter. The way we speak to each other, including the names we use and the words we choose, all have a huge impact on how we feel about ourselves and how we enjoy our time at school. Important point: The same applies to how we communicate through technology. Teach kids that the words they text, tweet, send, and post should be used with the same amount of care as the words that they say to someone in person. Not only is Maggie Lamond Simone a hilariously funny writer with great insights into parenting, but she’s also a redhead. What’s not to love? Check out her great article on “Mean Girls” from the Huff Post. Apparently, she and I have more in common than just the hair; in her article and in Friendship & Other Weapons, we both write about parents helping kids cope with bullying by teaching them critical skills, such as standing up for themselves, reaching out to others who are being bullied, championing what they like about themselves, and not tolerating meanness.